UFC 235 kicks off in the home of the UFC, Las Vegas on Sunday morning. With two titles on the line and some of the greatest UFC fighters on show, this one is worth blocking your day for! Here are the Palmerbet Teams tips & preview for UFC 235. Analysis: In the history of the UFC, there hasn’t been a fighter as gifted as Jon Jones. Pound for Pound, Jones has shown that he’s every bit and some, the superior of names like McGregor, Liddell, St. Pierre and Penn. He’s won 11 title fights. ELEVEN! He’s won in every manner. Submissions, knock outs, decisions, he’s done it all. An absolute beast, perfectly suited to the UFC, he should be considered with the absolute sporting greats like Jordan, Slater, Williams and Senna. Unfortunately his career and legacy fall victim to the taint of performance enhancing drugs. Twice banned for failing drug tests and again for a hit and run accident, the man that should be a poster child for the UFC continues to divide opinion. Returning to the Light Heavyweight division at UFC 232 after his latest suspension, he made easy work of Alexander Gustafsson to claim the vacant title. 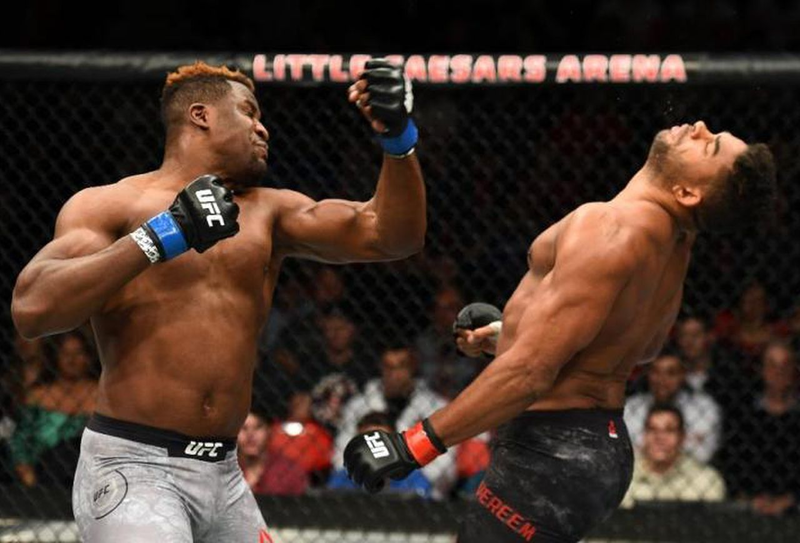 Some doubt remains that the quality of the fight wasn’t up to the level most would have expected against Daniel Cormier, but you can only dominate who is on the opposite side of the Octagon. Jones’ game is incredibly well rounded. Operating a flawless technique, he’s able to defeat you standing up, on the mat, wear you down into mistake and into a submission, or just ground and pound into a decision. Anthony Smith meanwhile has come out of nowhere! Fighting in the second tier events of UFC Fight Nights, he’s become a viewer favourite. 5 of his last 7 fights have been won by KO, with 3 Performance of the Night awards and a Fight of the Night he was on the wrong side of. His punch rate is low, but boy are those hands heavy! A 58% KO rate a testament to that. Lets get real though. This is Floyd Mayweather/Winx/Serena style quality. It looks a matter of if Jones can end it early or will he toy with Smith and drag out a beating. Analysis: Ranked 5th pound for pound, Woodley is the greatest Welterweight the UFC has seen. Its a shame he’s not headlining, his quality deserves it, but the winners here are the viewers! Holding the title since 2016 with 6 title defences in that time, Woodley’s well round game makes life very difficult for opponents. Without a perceived weakness, Woodley is a model of efficiency and patience. His low punch rate is backed up by a viper like ability to seize an opportunity to change his game to a takedown or submission game. Whilst the main event of Jones V Smith seems one sided, this one brings in a high quality opponent in Usman. The polar opposite of Woodley, his high punch rate and huge takedown efficiency is going to be a real handful for the champ. He has a strong reach advantage and an enormous tank, as 7 of his last 8 fights have gone to a decision. This is his first UFC Main Event though, so a lack of experience could mean trouble for the Nigerian. The Welterweight division isn’t one you’d call spectacular. Its not traditionally full of knock outs but its one for well crafted techniques, over powering a fighter and grounding out wins. Woodley’s as good as they come, but a decision looks the most likely outcome. Analysis: The former Welterweight champion takes on the hot newcomer in what looks like a fight for validation. Is the new kid on the block as good as his undefeated 18 fight history suggests? Is Lawler up to taking on Tyron Woodley’s level and deserved of another title shot? Robbie Lawler is a UFC Warrior. A past champion and highly respected, Lawler has been unable to fight for over a year after sustaining an ACL injury in his loss to Rafael Dos Anjos. His recent fight history isn’t strong, with 2 losses from his past three including a first round lights out against the champ, Woodley. His lack of a go to weapon when he needs to turn a match is the biggest concern, so a decision looks his best bet. Askren is the great unknown. Bringing an unbeaten streak from the Singapore based One Championship, this will be a step up in class. As often is the case in the second tier competitions, quick finishes and a lack of lengthy fights is Askren’s story. Only 1 of his last 9 has gone the distance and he can finish a fight with his fist or with some quality Jiu Jitsu. He’s a real danger but does he have the tank? Analysis: A wall versus a whirlwind in the Women’s Strawweight bout. A dour, grind it out fighter in Torres with 9 of 10 wins coming via decision, taking on Zhang, with just 2 of her 17 wins by decision. Torres is a conditioning freak. She’d fight 9 rounds if you’d let her. She grinds away with plenty of punches until her opponents make a mistake and does just enough to get the judges over the line. Susceptible to power and takedowns, she’ll look to keep this one on their feet as the canvas is her enemy. Zhang fights like the cartoon Tasmanian Devil. One of the highest punch rates in ALL of the UFC, she sure doesn’t spend much time wondering! She will look to attack, with force, drag the contest into her realm and push her submission game. Zhang looks to have far more weaponry than Torres in this one. Analysis: Former Bantamweight Champion Cody Garbrandt now sits No. 3 in the latest rankings and will return to action after failing to win his title rematch against T.J. Dillashaw at UFC 227 in August. After a blistering start to his career, highlighted by an undefeated run and claiming the belt, Garbrandt lost his title to Dillashaw at UFC 217 by KO in Round 2 before falling again by KO in the first round in the rematch. 12th ranked Munhoz, meanwhile, is on the up and up after six victories in his past seven fights. “The Young Punisher” is coming off another dominating performance, this one from The Ultimate Fighter 28 Finale in November. The first round TKO of Bryan Caraway was his fifth stoppage victory since joining the UFC roster. These two are polar opposite. Garbrandt has a set of fists that will put anyone to sleep given the chance. Munhoz is a submission master. Its hard to see Munhoz getting past the former champ, and we think Garbrandt will put himself back into title contention. Analysis: We’re not going to lie, we’re long term fans of Diego Sanchez here at Palmerbet. The inaugural winner of The Ultimate Fighter, Sanchez has been the backbone of the UFC. 41 fights deep into his career, this one is his chance to show the world if he has it, or has to find other employment. Sanchez hasn’t been able to put a two win streak together since 2011, but his heart and aggressive nature match up well in this one. His unbelievable conditioning and unique style suggests this one will go the distance if he’s not caught by Gall’s submission game. Mickey Gall is cobra quick and will be a real handful for the veteran Sanchez. A submission specialist, Gall is coming off 4 wins from his last 5 by rear naked choke. Admittedly one of those was the embarrassment of former WWE star, CM Punk, so lets call it 3.5 wins! His fight at UFC 217 was a telling one. Held at arms length for the entire fight, he was left wanting when it came to a stand up game, landing just 7 significant strikes during the entire 3 rounds, eventually losing on decision. Its a recipe for Sanchez if he’s clever. One fighter is on the upwards trajectory, one on the slide. We love Sanchez in our hearts, but will take Gall by Submission with our wallets.